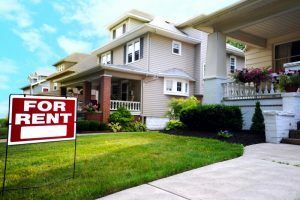 Recently, a popular trend that has been bringing in additional income for many people is property rental. Renting out a property is an easy enough way to have more money coming in throughout the year, but it may not be an easy thing to manage yourself. That is why property managers exist. 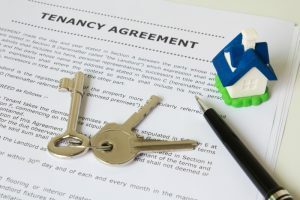 They take care of all the nitty gritty details so that all you have to worry about is collecting rent from the tenants. They can make the process, the management, and everything else a whole lot simpler for you. When deciding whether a property manager is the right choice for you, consider these benefits, you may just find that a property manager can make all the difference. When it comes to renting your property, finding the right tenants can be difficult. The screening process is a tedious one, but it is also extremely important if you want tenants who take care of your property, pay rent on time, and give you as few problems as possible. Property managers know how to do a proper screening of potential tenant, allowing them to weed out the bad and find the best client to rent your property. Tenants, unfortunately, can cause problems. They can cause legal trouble, financial issues, and hurt your property’s reputation. With the help of a property manager, you will be in better hands. They understand the laws in your state, and can help you stay out of trouble. They can help you with every legal aspect of renting a property, even if it doesn’t involve tenants and problems. main point of contact for your tenants. This means when a tenant has a concern, problem, or something to complain about, the property manager will be the one who takes care of everything. Besides helping you with tenant issues, property managers can also help keep your place filled. When you rent your property on your own, it could be hard finding people to fill it. Property managers can help you keep people in your property, allowing you to keep collecting money. And for the tenant, property managers can help them find the perfect place for them. They can make it easier to find the right rental, which in turn will help more people find your property as well. there that claim to be the best. But they may not offer everything you need. Atlantic Property Management offers different packages—silver, gold, and platinum. Our platinum packages covers everything you need and some that you never knew you needed. Now these may not seem like things you will need, but anything could happen, meaning that you need to be prepared for the worst. At Atlantic Property Management, we take pride in the work we do, and we know every little detail that goes into rental properties. If you are looking for a property manager for your rental property, give us a call, we can help you get started and be your helping hand throughout the entire process. Contact us with any question you may have, and learn more about us.